Brian Dunlop (1938–2009) was a still life and figurative painter. He was born in Sydney, Australia and studied at the National Art School in Sydney from 1954 to 1959. From 1962 he travelled extensively painting in Rome, Skyros, Majorca and London. Returning to Australia, he lived and painted in Ebenesar, New South Wales before moving and painting in Sydney from 1973 to 1980. 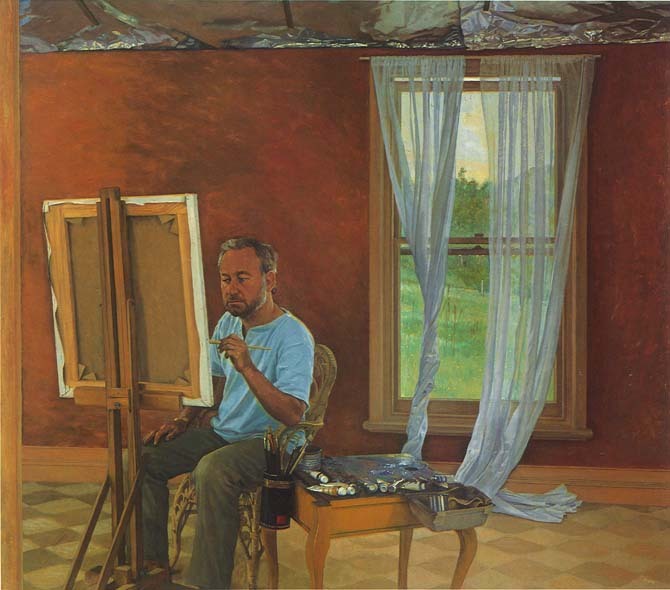 Dunlop was the Artist in Residence at the Univeristy of Melbourne during 1980 and 1981 before living and working in Tuscany from 1982 through 1983. On returning to Australia in 1984 Dunlop established his studio in Port Fairy, Victoria but continued to travel broadly painting in with particluar interest in Turkey, Italy and China. Dunlop is represented in the Australian National Gallery and all Australian state galleries, most university collections, most major regional galleries, National Library, High Court of Austalia, Parliament House, and numerous public and private collection. Dunlop won the Sulman Prize in 1980 for The Old Physics Building (genre painting). He was a finalist in the 2004 Archibald Prize with Brian Kenna: imagines Urfa. He painted portraits of public figures, including Queen Elizabeth II in 1984 for the 150th anniversary of the founding of Victoria, a Governor-General, three Chief Justices, three Archbishops. He held many exhibitions in Sydney and Melbourne. Dunlop died on 11 December 2009 as the result of a long-standing heart condition.